I’ve been following the World Cup lately. Not watching it, of course. I wouldn’t enjoy that at all. But following it has just the right combination of overly complicated procedures and total lack of physical action to appeal to the sort of person who has read like half a dozen LARP rulebooks but never gotten around to actually LARPing. For example, as best I understand it, America will advance to the semiquarterpseudohyperfinals if it beats Germany on Thursday, or if Ghana ties with Portugal, or if Portugal beats Ghana by a sufficiently small amount, unless Uruguay loses to Italy or ISIS takes Baghdad, but only if the stock market goes up by an even number of points or the moon is in waning gibbous. Suppose that the strength of different teams were interpreted as input and the eventual winner (and perhaps point spread) as output. And suppose winning a World Cup raises morale and resources devoted to soccer in a particular country, therefore making them stronger during the next World Cup – ie a sort of primitive feedback mechanism. How complicated do the advancement rules have to be before the tournament acts as a sort of primitive neural net? Could a sufficiently large soccer tournament achieve sentience? Could it feel suffering? I’m not sure, but these sorts of questions are definitely the level at which I enjoy following sports. It has also come to my attention that if America and Germany tie in their upcoming game, they both advance to the semiquarterpseudohyperfinals – in other words, the payoff matrix heavily penalizes a team for losing as opposed to tying, but winning as opposed to tying gives no benefit save transitory national glory. It’s supposed to be bad form to start the game by shouting “I PRECOMMIT NOT TO KICK THE BALL IF YOU WILL DO THE SAME!” and then have both teams stand motionless on the field for ninety minutes. So the question is whether the two teams can communicate to each other their desire to establish a mutually beneficial equilibrium of not scoring goals, using only signals to that effect that are plausibly deniable to third parties. A secondary problem is whether, having committed to such a plan, they can enforce it against the temptation to defect and score a goal at the last second for national glory. The usual solution to these kinds of problems is to establish a government to enforce a Platonic social contract while also establishing a communally enforced norm of virtuous behavior at the individual level, but I guess that might be a tall order for a ninety minute game. Still, it is far from impossible: Germany has managed it before, and for what it’s worth the American coach this year is a German guy. Barbados needed to win the game by two clear goals in order to progress to the next round. Now the trouble was caused by a daft rule in the competition which stated that in the event of a game going to penalty kicks, the winner of the penalty kicks would be awarded a 2-0 victory. With 5 minutes to go, Barbados were leading 2-1, and going out of the tournament (because they needed to win by 2 clear goals). Then, when they realized they were probably not going to score against Grenada’s massed defence, they turned round, and deliberately scored on their own goal to level the scores and take the game into penalties. Grenada, themselves not being stupid, realized what was going on, and then attempted to score an own goal themselves. However, the Barbados players started defending their opponents goal to prevent this. In the last five minutes, spectators were treated to the incredible sight of both team’s defending their opponents goal against attackers desperately trying to score an own goal and goalkeepers trying to throw the ball into their own net. The game went to penalties, which Barbados won and so were awarded a 2-0 victory and progressed to the next round. Circumstances seem different than the other German case you mention. Presumably the spirit of pan-German unity made both teams prefer the other going through to Algeria going through (even if each thought the other had silly accents). In the current situation, there doesn’t seem to be nearly as much reason the U.S. would prefer to see Germany rather than Ghana advance, or why Germany would prefer to see the U.S. rather than Ghana advance. The incentive would be that Germany advances, which they might not if they lose the game. Yes, but is that naked mercenary motive enough to prevent cheating and engender trust that the Americans won’t cheat? Are there economists who study tournament structure like they study voting systems? I wonder if there is something analogous to Arrow’s Impossibility Theorem that you could prove about tournament structures never being able to satisfy all of a list of desiderata simultaneously. I would be surprised. Double elimination is pretty solid. “Fixed number of contests”, bam that knocks out double elimination. I believe this would be a significantly more stochastic affair than elections. 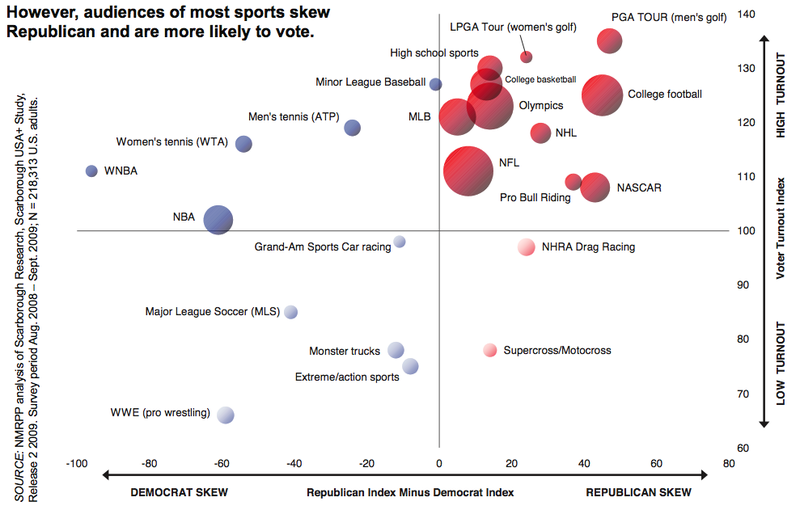 Voting might have sampling biases, but in sports the better team sometimes loses. If the goal of the tournament is to select for the best team, then an optimal tournament will have enough complexity to allow for a large sample of teams (and maybe double elimination as Zakharov said), but also be short enough where team decimating injuries are less likely to happen to the best team. The optional tournament structure will funge against the best team’s stamina risk vs game risk. There’s no perfect system. Sometimes the Giants beat the Patriots. Yet again I am reminded of SMAC quotes. Scott never said soccer wasn’t physically active. He said that keeping track of stats without even watching wasn’t physically active. EDIT: Oh you can’t just delete your question after I spent all that time typing up a reply to it! There was a question here as to why Americans think soccer is boring and gay, which I have attempted to answer. My hypothesis is, soccer is a sport that requires more endurance running than most sports popular in the US. The big three are football, baseball, and basketball – football and baseball are turn-based games where you can rest between turns, and basketball is played on a court much smaller than a soccer field. The explosive action you can get when you don’t have to conserve your endurance but rather can go all out in every sprint is probably what Americans are missing in soccer. As for why they consider soccer gay, endurance running is not something that huge, muscular men are good at. Soccer athletes are trim and fit, rather than being ridiculously wide linebackers, ridiculously tall point guards, or sluggers with ridiculous biceps. Since men are, on average, larger and more muscular than women (may heaven protect me from the wrath of the feminists), size is a masculine trait. So football, basketball, and baseball stars really are more masculine than soccer stars, and soccer is, by comparison, an effeminate game. See this ridiculous article my friend sent me. Yes. It’s funny in the context of all the liberals who follow soccer to signal their anti-American sensibilities. Haha. Because there’s nothing more American than a bunch of grotesquely buff black men going head to head. Football is such a meathead festival compared to soccer. It makes sense that neither culture would appeal to intellectuals, but american football has got to be that much worse. Isn’t there a lot more strategy in football than in soccer? I don’t even know the rules of football, so I might be wrong, but my football player friends in high school always had to memorize all these drawings with little xs and os and arrows, and I don’t know of an equivalent in soccer. In general, football play very tightly choreographed by the coaches, to the point where a wide receiver is chewed out for taking 6 steps before making a 45 degree instead of taking 7 steps before making a 45 degree turn. This really isn’t possible with soccer where play doesn’t really stop and the coach can’t give detailed instructions to all the players at once. Every player has to improvise, but understand what to do in the context of where his teammates and opponents are at all times. So, instead, soccer players will learn general ideas rather than specific movements. I’ve heard it said that of popular sports, (American) football makes the best analogy to warfare: it’s got the right mix of intricate high-level strategy, relatively simple but distinct and somewhat overlapping responsibilities on the field, and utter chaos when strategies collide. I’m not an expert in either sport, but with this in mind I’d expect American football to be more intellectually demanding of its coaches and perhaps a couple of key players, while, er, un-American football should be more demanding of players on average. Based on these two posts, it seems football would be more intellectually engaging than soccer to a fan or spectator, which runs counter to blithe spirit’s argument. Suppose it depends whether you like watching strategy or individual virtuosity. American football is the only sport that gives IQ tests (wonderlic) to its players. That suggests they are more relevant than for other sports, and probably not just for a few key players. But IQ isn’t everything. In particular, most other sports require more improvisation, and that doesn’t seem to be very closely related to IQ. In particular, football defense has lower IQ than football offense. Of course, basketball players go to college and thus take the SATs, but I don’t think their scores are generally known to the public, though it’s possible recruiters pay attention, both at the college and professional levels. If the scores are available, it would be interesting to compare the two sports. Well, that’s what I thought, but then I did a few google searches and found that some basketball teams do give IQ tests. Looks about on par with the intellectual level of most Wall Street Journal editorials. > As for why they consider soccer gay, endurance running is not something that huge, muscular men are good at. Soccer athletes are trim and fit, rather than being ridiculously wide linebackers, ridiculously tall point guards, or sluggers with ridiculous biceps. Since men are, on average, larger and more muscular than women (may heaven protect me from the wrath of the feminists), size is a masculine trait. So football, basketball, and baseball stars really are more masculine than soccer stars, and soccer is, by comparison, an effeminate game. It could be that. Or it could be the ‘fall over and cry whenever someone touches you’ strategy that almost all players employ because there’s no other way to get the referees attention. Indeed. Lots of men are wimps who pretend to be tough. Soccer plays are tough and pretend to be wimps. “Dirty, cheating Leeds” of the 70s and players who rejoiced in nicknames like Chopper Harris would not accept that association football is not a physical game. As to today’s matches in the World Cup, the U.S.A. has done very creditably so far. The U.S. – Germany game is going to be a good one. Portugal have not played to their potential or the expectations held about them before the tournament, and Ghana seem to be busy imploding despite their good showing on the pitch so far. Never mind the ban on Luis Suarez for biting Chiellini during the Italy-Uruguay game. So I would tentatively forecast U.S.A. and Germany to go through to the knockout stages, with Germany probably winning. The description of the 1994 Caribbean Cup game isn’t quite right (the correct version is in the main body of the Snopes article). After Barbados scored the own goal to equalise at 2-2, Grenada then wanted to score a goal at either end. So rather than both teams defending their opponent’s goal, it was Barbados defending both goals against Grenada. It was probably easier for them to try to score an own goal, since they wouldn’t have to beat a goalkeeper and there’d be no offside rule to bother them. But I think the game theory equilibrium would require some occasional runs toward their opponent’s goal, just to throw off the defence. It’d be interesting to see such a game played out legitimately over 90 minutes — first half, team A tries to score at either end; second half, team B tries to score at either end. This reminds me of something I was thinking about recently. I have personally never found sports to be even remotely exciting in any way – neither playing them, nor watching them. This seems to be a pretty common trait in people on the internet, the nerdier the community, the more common. Scott, you seem to be this way. I would hypothesize that a large percentage of the people on LW or SSC are this way. I’ve even seen communities where the populace seems to generally look down upon people who are interested in sports as somehow unintelligent or even “barbaric”. I have seen people express things like “I can’t fathom at all how so many people are so interested in sports, it’s completely alien to me” and be met with agreement. And I feel like there is also a meme I have noticed on the internet that goes “gym class was the worst part of school”. Whereas it seems to me that a lot of kids I went to school with, maybe even the majority of boys, found gym class to be the best part of their day. That being said, it seems like I know almost no other young men in real life who have such a profound disinterest in sports. A lot of nerds I know in real life are into sports. And my friends who aren’t will still watch “big games” and follow along with things everyone is talking about just for social reasons, while to me doing this would be an agonizing chore. So I wonder where all my fellow non-sports-enjoyers (there should be a word for this, like how there’s a word for people who were never able to understand music) are hiding? And what makes them come out of the woodwork on the internet? What is the trait that makes some people so thoroughly disinterested in something most people love? Intelligence? Masculinity, or lack thereof? Athletic abilities? Introversion? Or maybe it’s just my imagination and I am over-estimating how many non-sports-enjoyers there are on the internet. A couple of thoughts on this. First, I think interest in playing sports and interest in watching sports are separate things. Usually, one thinks of this in terms of couch potatoes who like watching sports, but I’m actually the opposite. I have no interest in watching sports at all, but I’m very athletic personally. On a related note, I wish I had some method of distinguishing women who express sports fandom interest in their dating profiles because they think that’s what men want to hear from women for whom watching sports is actually a big deal emotionally, since I might get along with the former but will probably be bored with the latter. I can see how politics and sport satisfy the same instinct, but I’m not sure that they elbow one another out. What’s the mechanism by which they dampen one another? Just available time? One might equally make the case that people who are more into politics are people who just enjoy that tribal conflict stuff more, and would thus be more likely to be into sports as well. When I think about examples I get fictional ones though, primarily West Wing characters who are very invested in sports. Are they unrealistic fictions? 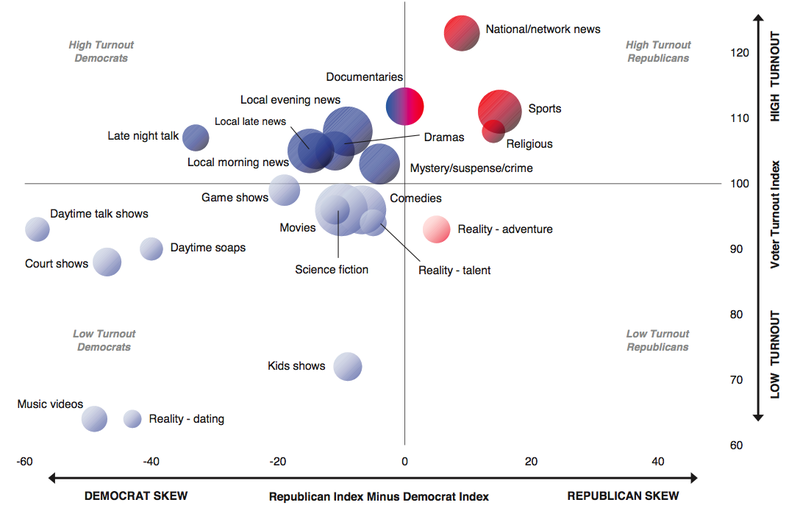 Apparently passionate college football fandom is correlated with being a strong Republican, so they aren’t matter/anti-matter. Lesser Bull – strong Republican doesn’t equal active Republican. Someone might have extreme political views but not do much about them other than voting. Surely what this could be capturing is how strong one’s tribal conflict instinct is? High-tribal-conflict people would be more likely to like sports and politics; low-tribal-conflict people to be apathetic about both. High-tribal-conflict people would be more likely to like sports and politics; low-tribal-conflict people to be apathetic about both. I really really hate the former (and this goes double for nerd “sports” like “serious” competitive tabletop or RTS gaming! you’re having badwrongfun and corrupting what could’ve been a pleasant friendly game!) and really really enjoy the latter. I am very low tribal conflict but I like both (assuming nerd sports count). I don’t like rooting for one side or the other though so much as the mechanics of each (for example the skill or strategies involved). I wish I had some method of distinguishing women who express sports fandom interest in their dating profiles because they think that’s what men want to hear from women for whom watching sports is actually a big deal emotionally, since I might get along with the former but will probably be bored with the latter. Look for physical evidence? Serious sports fans tend to own a lot of swag. In the end, though, sports are more entertaining and glamorous and than politics. You can get into heated argument about sports without risking friendships or causing a scene. After all, there are, on average, no substantive worldview difference between me and a Jets or Manchester United fan. It’s a common cultural touchstone that transcends race and class (at least regarding American Football in the US) and good source of smalltalk. It’s like everybody reacting to the Red Wedding or the Oberyn Gregor duel except that nobody knows what was coming. In short, giving up my nerdish snobbery and applying my nerdiness to watching sports has improved my social life and made me happier. Plenty of people are not or never were physically fit, athletically successful or had previous unfavorable experiences in some way related to sports. However the “failure to understand” meme is pretty much solely an elitist attempt to signal in-group affiliation with a subset of so-called nerds and exclude others. This is the by far predominant mode, there might be a much smaller proportion of people spreading this meme for more abnormal reasons but the prior probability of that is low and one shouldn’t malign any given person for this in a single instance. There’s also truly sociopathic profiles of people who cannot understand other people’s behavior in general and invent nonsensical explanations to other things, like “why did other kids in school like getting out of class for stuff like fire drills” and not realizing that lots of other kids were bored in chemistry class, didn’t want to take quizzes &c.
The signalling explanation fits with why this is most commonly brought up, except in rare meta-senses like here. From the people who say don’t understand “how other people get it” you do almost never hear criticisms that would be equally valid on the same grounds, that opera, theatre, dance, and art museums are terrible and people should spend their time reading nonfiction science books instead, because for the most part criticism of sports is one of few valid status signals that those other things aren’t. For the record, I don’t understand how anyone can like operas. Some of them last several hours, and the focus seems to be on the technical prowess of singing rather than on having good songs. Musicals I understand, but operas just seem like a horrible and degenerate version of them designed to maximize anti-fun. When they were new, peopled seemed to have a lot of fun at operas, even though they were long. This piece emphasizes foreign language and distant political context, not change in musical style. (Though maybe by the focus you mean something changed with time in the productions of the same opera.) It also mentions the lively theater, with eating and drinking, cheering and booing. But that is something that has been also been lost in modern musicals. However the “failure to understand” meme is pretty much solely an elitist attempt to signal in-group affiliation with a subset of so-called nerds and exclude others. I don’t really know about this. For a long time, I genuinely did not understand why people enjoyed watching sports. Playing sports I understood, because sports are games and games are fun. What I did not understand is how people derived so much pleasure from watching other people play a game. It was truly baffling to me. I now realize that what drives people to obsess about watching sports is the same thing that drives people to read celebrity gossip, or what drives nerds to have vigorous online debates over the direction in which their favorite media franchise is going, or what drives me to obsessively check hip hop forums to get the newest hip hop news and gossip. For whatever reason, people have this weird desire to follow and analyze systems that are not inherently useful and have nothing to do with them. But it took me a really long time to come to this realization. I don’t think it’s impossible that many others genuinely did not understand. Perhaps it’s some combination: I think it’s telling that you’re surprised how long it took you to realise, because it’s not too difficult an idea. But still, understanding something like this requires actual thought. Not too much of it, and nothing too strenuous, but you have to really think about it, at least a little. You have to make an honest effort. And if you see signalling value in not understanding something, you’re never motivated to put that effort in. So your bafflement can still be caused by signalling, even if it’s completely genuine. Edit: And I think the way to spot this is incuriosity, if that’s a word. That people who loudly talk about not understanding why people like sport don’t seem to display any genuine curiosity, or make any real effort to *try* to understand. Nerds tend to be quite curious, you’d think that if huge numbers of people spent a lot of their time and mental energy on some mysterious phenomenon, nerds would go crazy trying to figure out what the deal is. It’s not the “I don’t get it”, it’s the “I don’t *want* to get it”. But there *are* “sports nerds”, such as the people who rigorously analyze baseball statistics. @Dan Tobias: To me, these people seem to occupy a different subculture than other types of nerds. That people who loudly talk about not understanding why people like sport don’t seem to display any genuine curiosity, or make any real effort to *try* to understand. Nerds tend to be quite curious, you’d think that if huge numbers of people spent a lot of their time and mental energy on some mysterious phenomenon, nerds would go crazy trying to figure out what the deal is. Stereotypical nerds seem uninterested in *people* – they’d much rather figure out *things*. I just don’t draw much attention to myself. I try to understand what’s going on to some minimal degree because everybody’s talking about it, but beyond that I don’t follow it. I just don’t go telling everybody how much I’m not following the sport unless there’s a reason to do so. If they have a TV on really loudly where I work tomorrow, I will ask people to go downstairs where there’s a better TV and nobody trying to be productive. Thus, if you knew me IRL, you might not realize how much I really don’t actually care. Of course, this also applies to the Internet. The only reason I’m bringing up my not caring is because it’s relevant to the conversation, and otherwise you wouldn’t notice me. See also Dave Sirlin on a hilarious badminton tournament, and hating games rather than players. The incentive for winning isn’t *just* pride – the winning team in each group gets to play against the second-ranked (and so presumably weaker) team from another group in the next round. And for the USA especially, the chance of knocking Germany out of the competition at this stage rather than having to face them again later on is also a worthwhile goal. Of course, it’s possible to see how these incentives could become reversed – if a team generally seen as stronger comes second in a group, teams in the facing group might see the #2 position as a more attractive prize. Not wanting to be second place and face (presumably) the stronger Belgium instead of the weaker Russia or Algeria is a good enough reason for the US to try to win. Kicking Germany out of the competition is very unlikely; this would only happen if also Ghana beat Portugal and the the total combined goal differential of both matches is at least 5 (e.g. US wins 2-0 and Ghana wins 3-0). Nate Silver currently gives Germany a 99.7% chance of advancing. This reminds me of the 1941 race for Texas Senator. Lyndon Johnson ran against incumbent governor Lee O’Daniel on the platform that he was too good a governor to lose to DC. The election was rigged in O’Daniel’s favor, supposedly by those who wanted rid of him. I think football teams tend to be built around exceptional talents, and when they lose form the whole structure collapses. Spain depended on a style built around Xavi and now he is old and breaking down they are a bit pathetic. Malcolm Gladwell is not available for comment. With this in mind, the Count loaded 32 World Cup matches on the DVR and set out to perform a comprehensive empirical study aimed at determining one thing: Which World Cup participant nation is the world’s floppiest? To be fair, it is actually possible to get hurt playing soccer. You can clang heads. You can snap a hamstring. You can get spiked in the soft tissue. There were nine injuries in total that forced players to be substituted from the game and to miss, or potentially miss, a match. These were discarded. That left 293 cases of potential embellishment that collectively took up 118 minutes, 21 seconds. Another trick: how to calculate writhing time. The criteria used here is the moment the whistle is blown (because of a potential injury) to the moment that player stands up. If the TV camera cut to a replay, the stand-up moment was estimated. If he was helped off the field, the “writhing” clock stopped when he crossed the sidelines. The study showed one thing emphatically: The amount of histrionics your players display during a match correlates strongly to what the scoreboard says. Players on teams that were losing their games accounted for 40 “injuries” and nearly 12.5 minutes of writhing time. But players on teams that were winning—the ones who have the most incentive to run out the clock—accounted for 103 “injuries” and almost four times as much writhing. The coordination problem isn’t just about team glory. The individual players who score goals also obtain significant glory (especially considering that the median player will score zero goals in the entire World Cup), so any collusion to bring about a tie would require keeping all the players, or at least the strikers, on board. And how is a team supposed to publicly shame a player who wins them the game? There is also another set of incentives, which apparently operates but doesn’t get talked about: most of the players on the national teams also play in the European Premier League, and may have team-mates on their national-team opponents. So a player might be a little less aggressive about blocking a fellow ManU player, or might choose to pass to his fellow Barça teammate instead of the better-placed striker who plays for Real Madrid. Or not – I haven’t seen much discussion of that, though I’m following the tournament without (much) watching the games. I neither love nor hate sports, but watching them occupies time that could be used for something else. However, if guacamole and multiple friends are present, it increases my enjoyment of the whole scenario to the point where I will happily choose to watch the match, and get sucked into the overall “sports excitement” present in the room. This explains why I tend to watch the finals and no other matches, because finals are the most likely to involve guacamole and multiple friends in one place.